Every year on September 15th-ish, there is a wonderful celebration of creativity known as International Dot Day, based on the equally wonderful picture book by Peter H. Reynolds, The Dot. This year, over 500,000 — yes, over HALF A MILLION — people, mainly children in classrooms, are participating in Dot Day. Some are Skyping with each other to Connect The Dots. Many well-known authors and illustrators have contributed Dots to the Celebri-dots website — do browse around the site and see the fabulous Dots they have made. FableVision and International Dot Day “Ambassador” Terry Shay, along with Pat Tilton of the truly excellent blog, Children’s Books Heal, have challenged people in the blog world, writers, illustrators, book reviewers, anyone involved in the kidlit blogosphere, to participate in International Dot Day by creating a Dot and posting it on our blogs. We’re not to be intimidated, thinking we’re not artists — this is a way for all people to release their inhibitions and get creative, drawing, painting, creating a Dot of some sort. Click the magic words to see my CREATIVITY DOT! Beth, I love you Dot. I’m looking forward to what others post. Thanks for the mention. Will link to your blog tomorrow when I post. Your dot was very creative! Thanks, Pat! I thought of this one night just before going to sleep! Spot on! Love it Beth, very creative! Thanks, Joanna! It was fun to figure out how to make it work. That is an awesome dot! Way to go, Beth. Some of us make dots, and some of us are just dotty. I’m rather dotty a lot of the time, Rob-bear! Thanks! 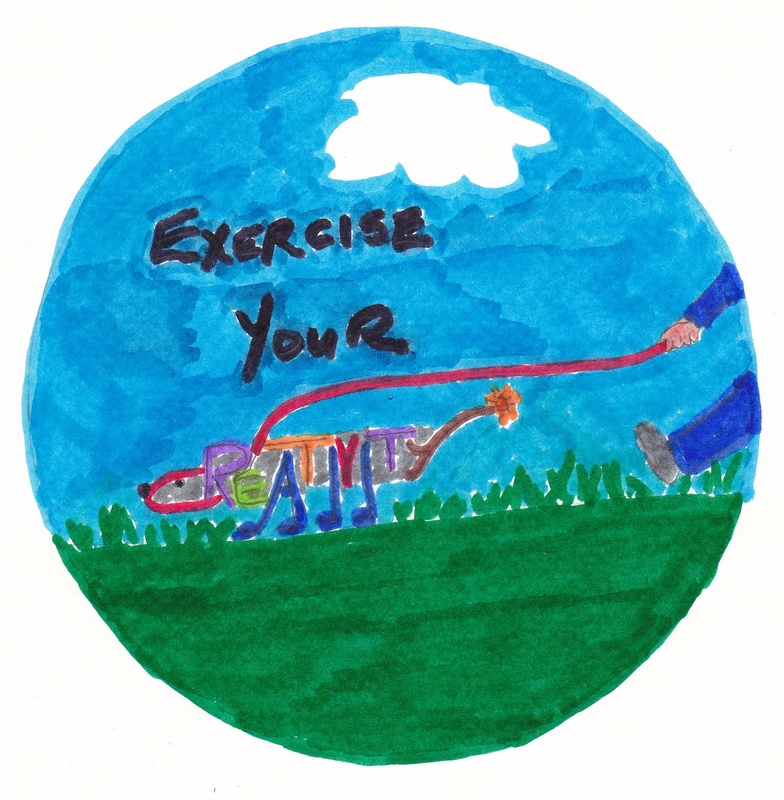 Love your exercising dot! I hadn’t heard about International Dot Day–what a cool idea. I was one of those people who thought I couldn’t draw and it was exciting to discover that I could! This is FABULOUS Beth! I love it! I love your creativity dog and his lit up tail! Thanks for sharing your beautiful dot, Beth. Lol! Creative editing for your creativity dot! Thanks, Erik! I’m looking forward to seeing your dot! Woof! Dot dog in action. Love it Beth! I had to go to the Connect the Dots link before I really understood the point of the dot thing. We’re good now! (if you can do something pirate-related for next Wednesday [Talk Like A Pirate Day], that would be cool!) Any good pirate picture books out there? Glad you got Dot Day figured out! This is a dotsterpiece akin to Van Gogh-get-it-boy! Love this, Beth! There’s nothing better than a dog, whose “Y” shaped tail sprouts orange flowers!! Great job, lady! “Van Gogh-get-it-boy!” LOVE that, Pam! Thanks! Ha!!!! Your dot ROCKS!!!!!!!! Brilliant!!!!! And what a wonderful idea DOT DAY is! Thanks Robbbbbbbin! It was such fun to do this dot (although I kind of wish I could have done a creative cat… maybe next year.) Dot Day is a fabulous thing!